Fridays: FNM at 6pm. Standard & Modern formats. $5. Promo cards & booster packs. Every Monday afternoon come join us for Gale Force 9's tabletop miniatures combat game. Saturday at 10:30-2:00 Pathfinder adventures for young & old. Every Sunday @1pm our local mini's crowd congregates for battles. Organizing attendance & games is often done though their active facebook page: Pioneer Valley Miniature Wargamers Network. Every Saturday from 6pm to close (now 11pm!) bring your favorite board games to teach to & play with others! Starting Wednesday, August 27 Greenfield Games in Greenfield will be hosting a weekly D&D Encounters event starting at 5pm. We've had a number of people asking if there's a way that they can get in on a D&D game at the store and with the release of the new edition of the game this interest seems to have spiked. This with in mind we have decided to run these events on Wednesdays for the forseeable future. At the moment we only have a single DM, so space is limited. If you're interested in playing be sure to let us know asap. If attendance is high enough that we're turning away players then we'll also be looking for another DM. We look forward to seeing you on Wednesdays! It's no surprise that the new edition of D&D is on the way. The game has been in playtest for about a year now. This doesn't make it any less exciting, though. 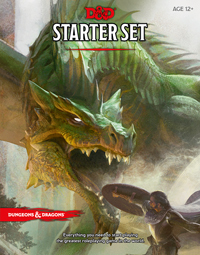 The new Dungeons & Dragons roleplaying game will have something of a staggered launch with the Starter Set appearing first, in July, the Player's Handbook and a new adventure module will release in August. The Monster Manual will be out in October, another adventure appears in September and then the Dungeon Master's Guide finally appears in November. Want to make sure that you get yours right away? Be sure to pre-order!